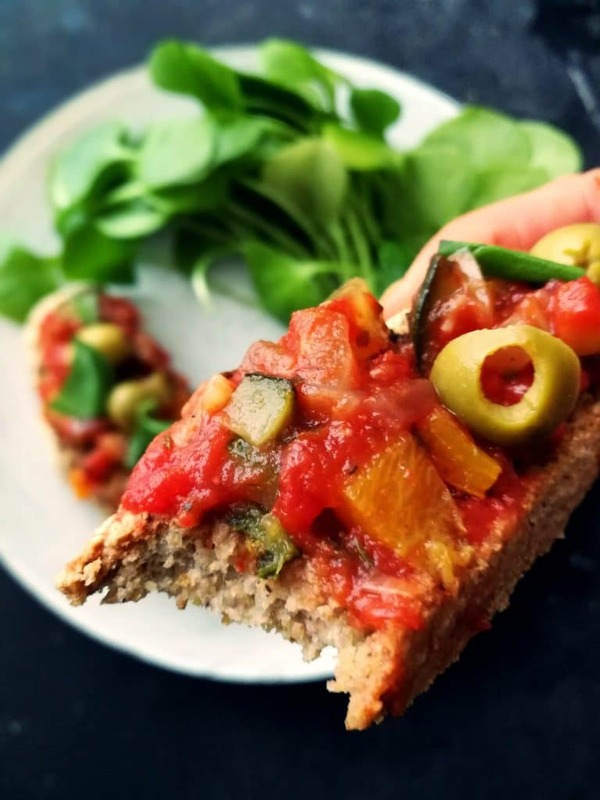 This Ratatouille Bruschetta is a light meal or snack, great alongside a salad or blended soup. 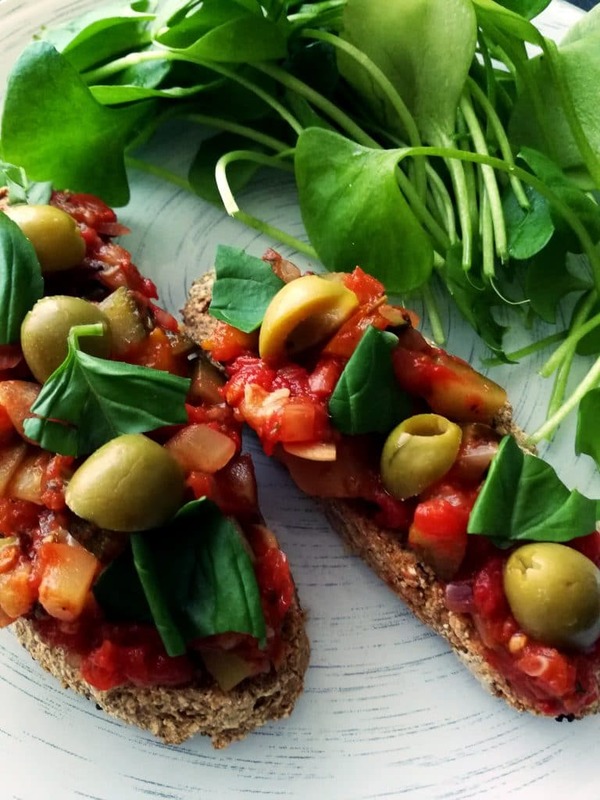 Bruschetta is an antipasto or starter from Italy and is originally grilled bread rubbed with garlic, topped with olive oil and salt. There are many variations, among those are the ones with tomato, basil and cheese the most known. I have made mine with a ratatouille topping, made with tomatoes, garlic, onion, zucchini, marjoram, fennel, bell pepper and bay leaf. A combination of two Mediterranean dishes, I think I am ready for summer! Simmered with tomatoes and herbs until tender but bot mushy, I like to have it a bit, some texture. 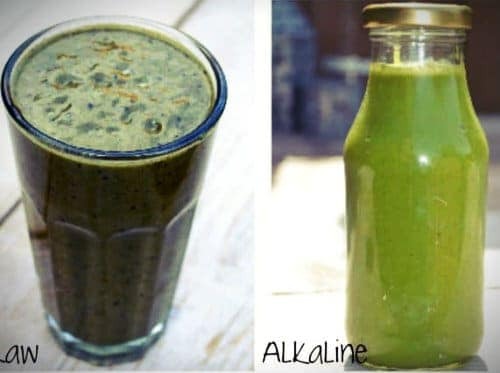 You find the recipe below this post. Rubbing baked or toasted bread with garlic is just delicious and something my mom used to make often when I was little. It adds a whole level to grilled bread. 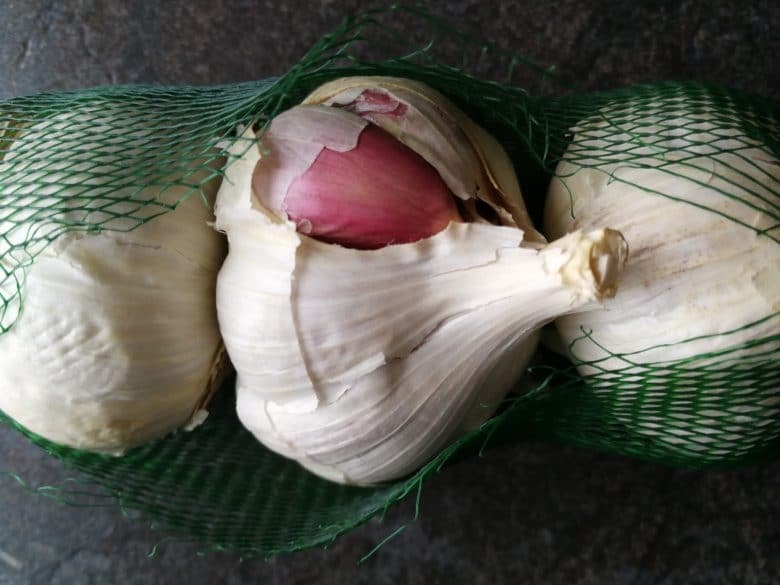 The benefits of eating raw garlic has been linked to reducing or even helping to prevent heart disease, stroke, cancer, high blood pressure and infections. Garlic’s anticancer properties are even recognized by The National Cancer Institute which is very critical with these kinds of statements. The ratatouille can be served warm or cold on the grilled garlic bread. I skip the added oil but I do love to top it with a few olives and fresh basil. I prefer the whole food, the olive, instead of the processed one, the oil. 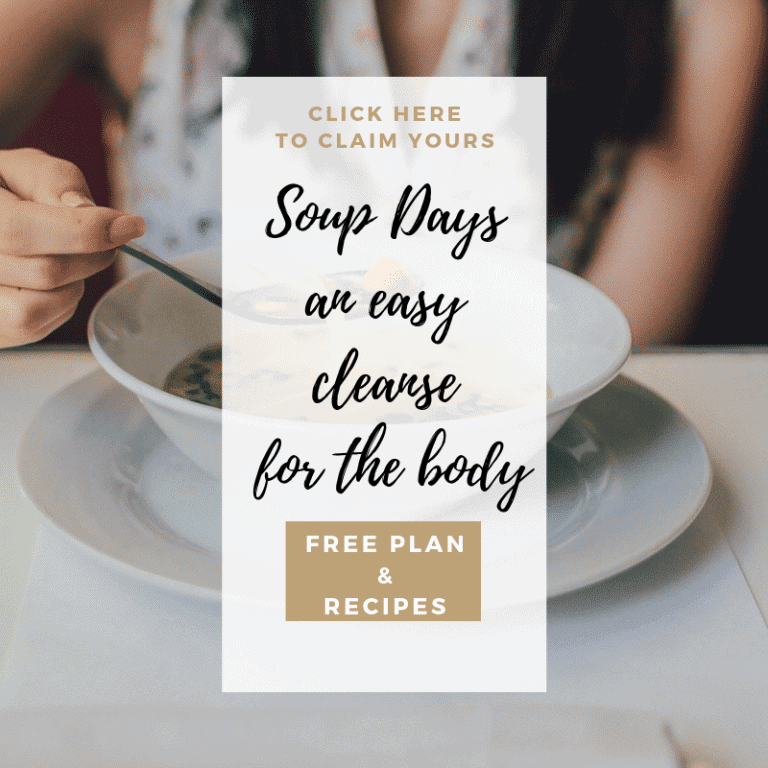 Whole foods are complete foods including fiber and nutrients. 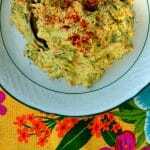 You could sprinkle some cashew Parmesan on top, which is only some blended cashews mixed with nutritional yeast, this gives a hearty, cheesy flavor. Btw, my Vegan Egg Salad would also work very nicely on this grilled Gluten Free Multigrain Bread …. I have made this bread many times and it is just delicious. 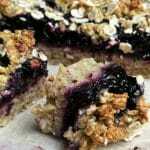 Made from whole grains, no gluten. 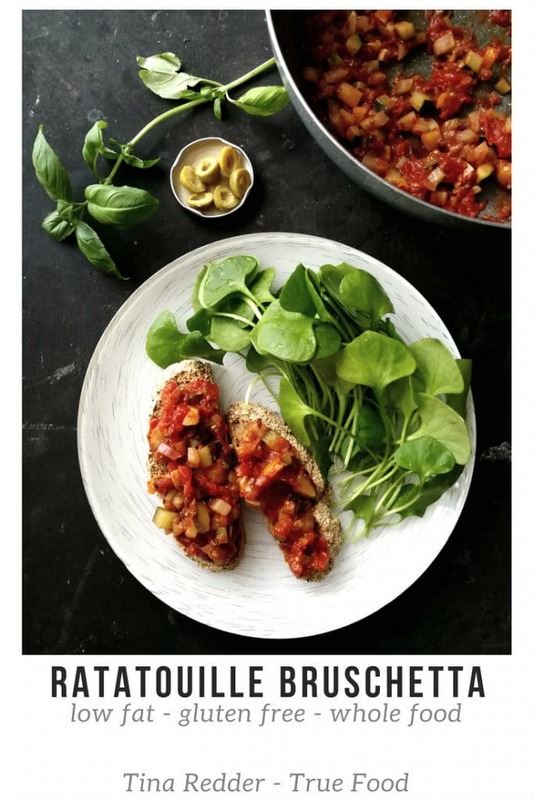 Let me know if you tried this Ratatouille Bruschetta combination! 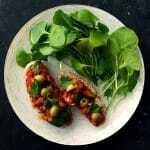 A summer inspired combination of two Mediterranean dishes. 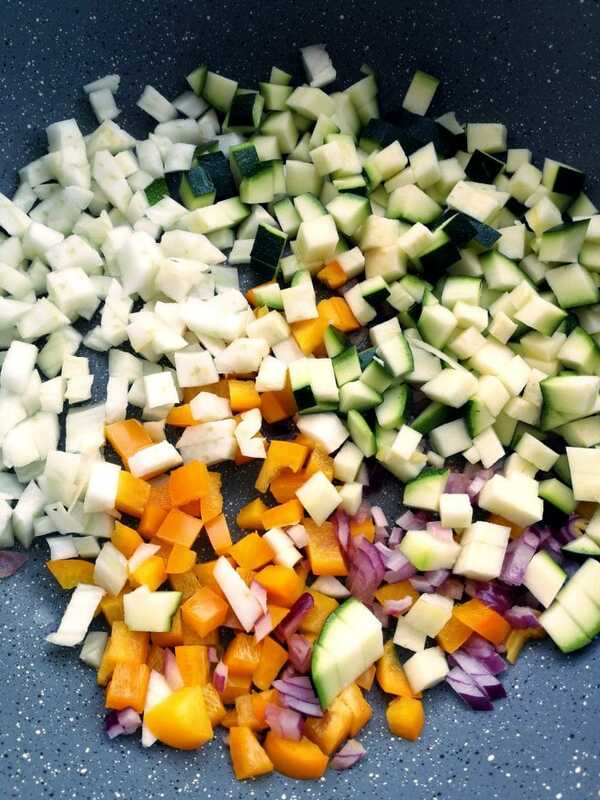 Soften the onion for a few minutes in a tbsp of water, add in the other chopped veggies except the tomatoes. Bake for about 5 minutes. Add in the chopped tomatoes, salt, pepper, sweetener, marjoram and let it simmer for 15 to 20 minutes, until tender but not mushy. Slice bread, not too thin, and grill or toast it. When done cut open a clove of garlic and rub it on the bread to make it nice and garlicky. 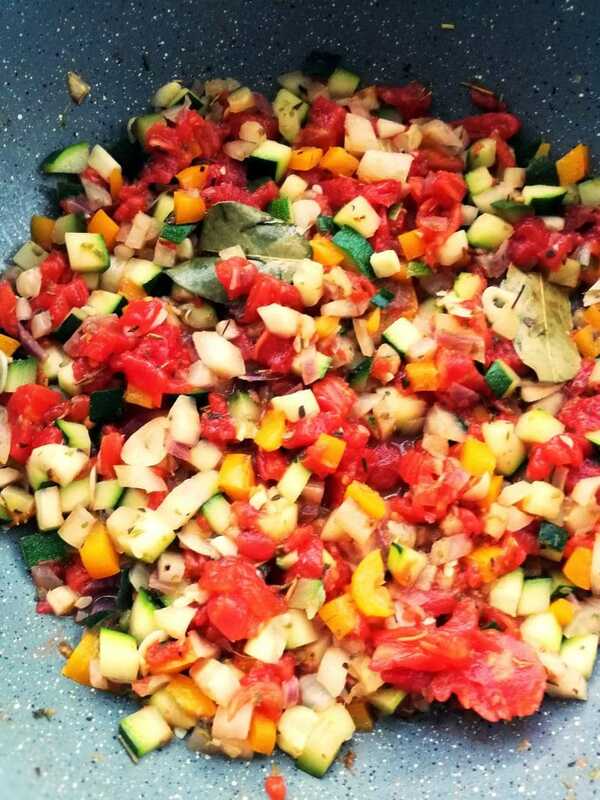 Scoop on the ratatouille just before serving to keep the bread crunchy. May be add some olives, fresh basil and cashew parm cheese. 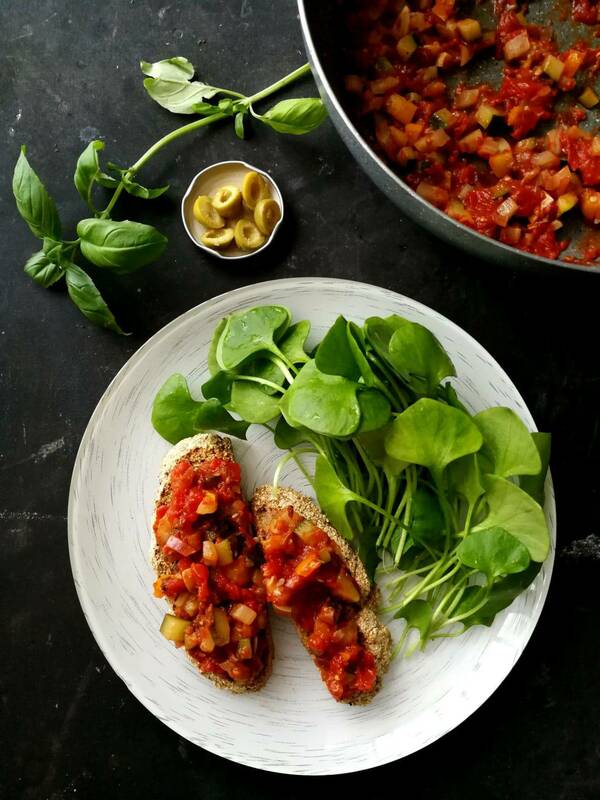 These Ratatouille Bruschetta's are delicious with a salad or blended soup or enjoy it as a snack. Store in the fridge in an closed container for up to 3 days. hi Tina, thanks for your site. 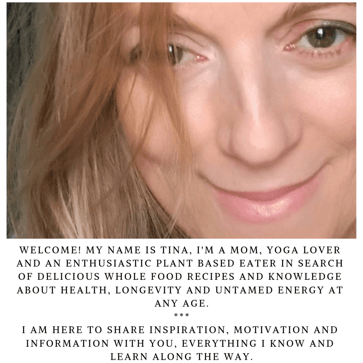 I’am Dutch and since 1 month I eat whole based plant food, without oil and sugar.